Introduction to the Two-Handed Fly Rod- I have a nice array of spey rods or better yet learn with your own rod. Scandinavian and/or Skagit technique taught. 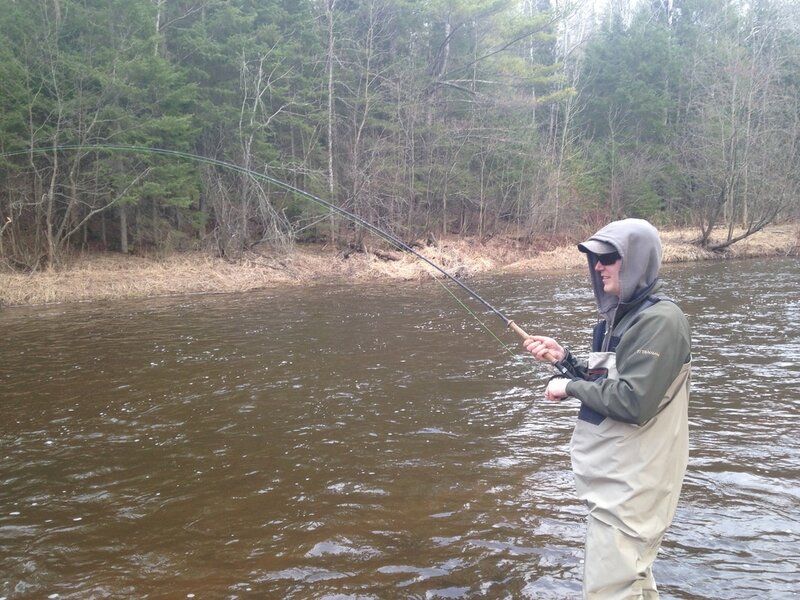 Learn how to swing a fly on a North Shore stream or the Brule in WI. Waders are a must for this experience. Rate is $50 per hour with a one-hour minimum. Up to two people at a time (same rate not double). Casting instruction along with swinging technique and fly selection included. This is good if you want to learn then fish on your own. For reservations and information on specials call Paul at 218-340-4605, a $50 deposit will be needed to hold reservations for casting with payment in full on the scheduled day. This deposit is refundable if weather/water conditions make outings not possible and an alternate date cannot be made. If you have to cancel due to personal reasons a refund will be made if I am notified at least 24 hours in advance of the scheduled meeting time. I will keep in close contact with all customers as coordination is essential due to weather conditions. Note, high wind and torrential rain are the spoilers for casting instruction.